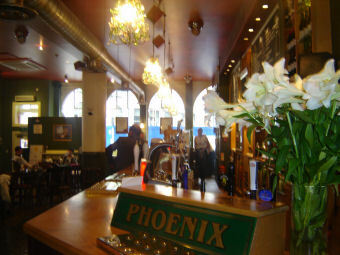 Spacious Greene King pub that used to be a Hogshead next to the Stock Exchange. 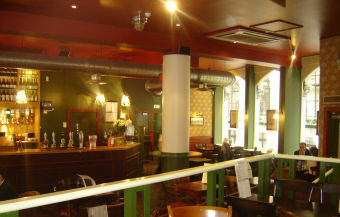 Despite the crowds of people in the street outside, the interior had plenty of tables free on Friday evening. 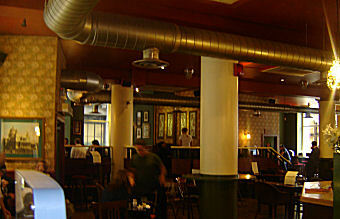 The two Greene King ales were IPA & Broad Street Brew. 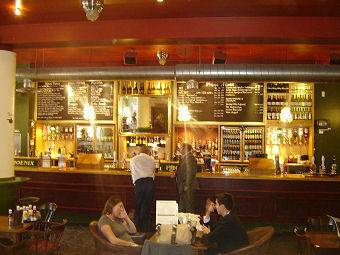 But they also had 2 guests - Sambrook's Junction & Bedlam Golden Ale. 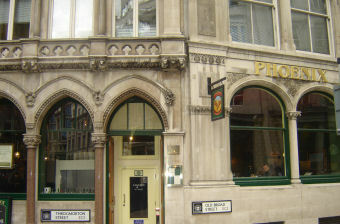 Despite its location, the pub didn't have the feel of a City pub. Most people were dressed casually and there was no air of pretentiousness. Blondie was playing. The downstairs gents toilets were a bit small though. I wasn't expecting to queue! Not a bad option in the City. This is a large bland Greene King Pub with the usual ales and Peroni, like a couple of other pubs I have been into in this area. I spotted two plasma screens, but I saw no sport advertisements. 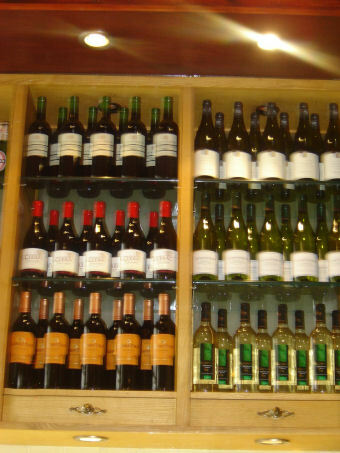 I will make a point of saying that the barman was extremely friendly, but this is not enough for me to want to return again. Do a decent range of beers but atmosphere is sadly lacking. Was a smoke- free pub before the ban came in so that has always been a problem here. Prices reasonable for a city pub. 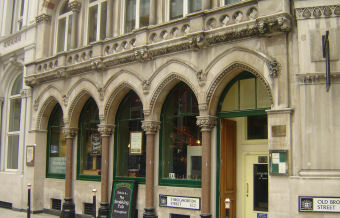 Large Green King establishment sitting at the junction of Old Broad Street with Throgmorton Street with entrances from both sides. Fairly modern d�cor and the large glass windows make it quite light and because of its size plenty of places to sit. Wasn�t overly busy when I visited , so got served without problem. Fairly standard GK ale offering and although the Moorlands Original was very nice there was nothing here that would me drag me back in if I was passing again.